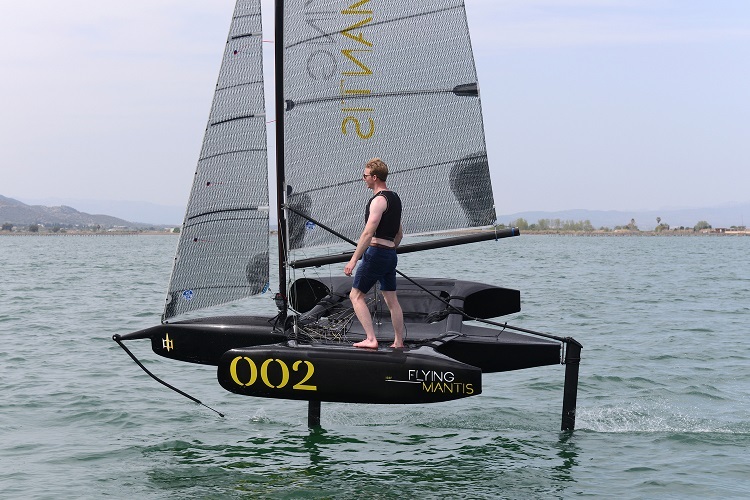 The Flying Mantis is an Award winning lightweight carbon trimaran for the solo sailor. 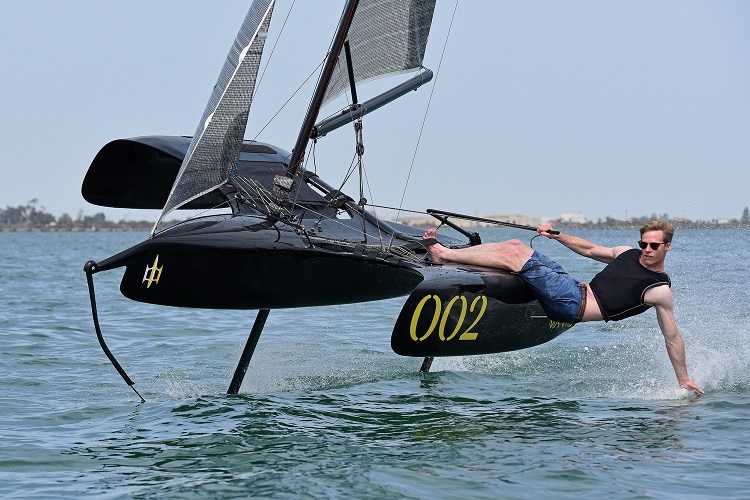 High performance and forgiving multihull sailing with the ability to change from daggerboard sailing into a foiling trimaran. Designed to deliver flexibility, speed and excitement to sailors of all sizes and abilities, including taller and heavier sailors with a weight range of up to 120kgs. Winner of British Yachting Awards Dinghy of the Year. We are dedicated to Great British design, innovation and fun. The Flying Mantis is for people who want to own a unique boat. 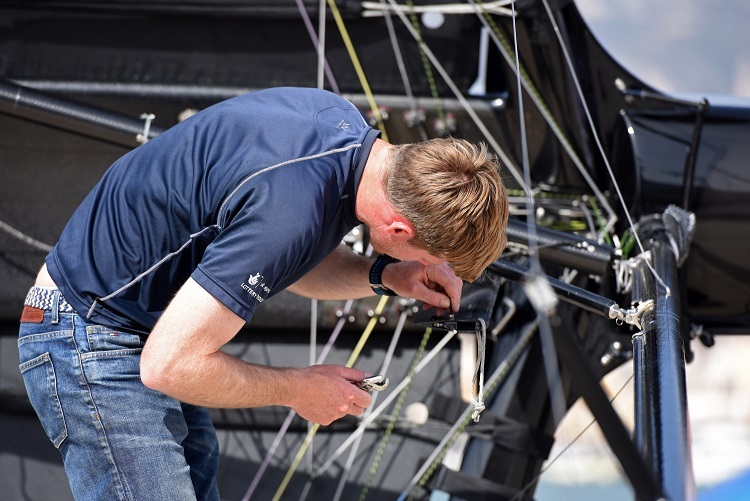 It’s for sailors – old and new, big and not so big, those who want to learn new skills. People who love the outdoors and don’t mind getting wet. Go off and have fun with it. Really loved the boat. Had the elegance of a Rolls Royce with the speed of a Moth! Very impressed. 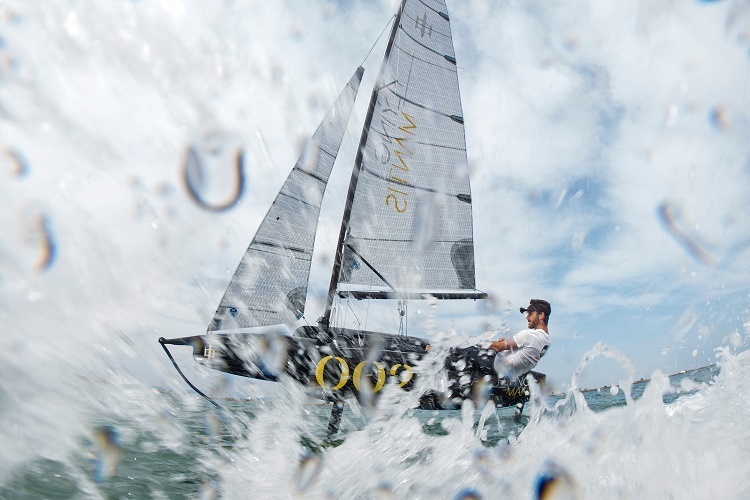 Sam Whaley, British Sailing Team. Designers who also know how to build and repair carbon performance boats, know what good boat design is all about. I wanted a boat I could keep at home and, if the weather looked good, go out sailing. It had to be super lightweight, portable and forgiving to sail and it had to go fast or it would not be fun.